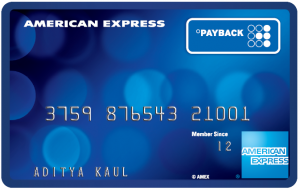 Payback card comes with an Annual Fees of Rs 750 for the First Year and Rs 1,500 from second year onwards. One Add-On Card is Free but you will be responsible for all the charges and dues on the same. As a token of appreciation and promotion in India, they are offering discount vouchers worth Rs3,000 and the ability to earn 1350 PAYBACK Points on spending Rs15,000 within the first 60 days. In addition, AMEX is offering Cardmembers a lower interest rate of 1.25% per month for the first 6 months and after that the APR on the card is as high as 3.25% per month. Again on the flip side, we don’t see IRCTC Surcharge waiver and 1.8% of the transaction value is levied. A fuel surcharge of 2.5% is levied with the exception of HPCL which has tied-up with the company. We advise Consumers not to get tempted by the Freebies / Offers and apply for this Credit Card as it will be allotted only after your credit check with one of the credit bureaus. You should Apply only if you feel that this adds value to your spending habit. Also make sure that if you are planning to apply for big ticket housing loan or other business loan, don’t act credit hungry as this will negatively impact your credit score. This entry was posted on Saturday, June 22nd, 2013 at 9:34 pm	and is filed under India Credit Card Help Guide.